People commonly confuse the term essential oil with infused oils, not realizing they are in fact two different types of extraction. We also have the term herbal oils or aromatic oils, which also contributes to the confusion, as these terms have all been used interchangeable and applied to both essential oils and infused oils. Essential oils (or volatile oils), occur naturally within plants and are extracted through steam or hydro-distillation. Distillation is a separation process used to purify or isolate temperature sensitive compounds. This is achieved through boiling water into steam, which passes through the plant materials and draws out these lightweight, aromatic compounds. As the rise within the glassware, they cool and condense back into a liquid form for collection. Some of these volatile oils are actually so microscopic and light that they literally float in the air, so when you smell a rose for instance; you are actually smelling or consuming these volatile oils of that plant, and these essential oils are actually leaving the Rose and entering the olfactory system of your body! 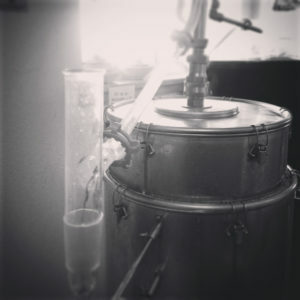 Distillation of essential oils always yields two primary distillates: the essential oils themselves, and the water that boils over, which takes on the aromatic properties of the plant. This aromatic water is called the “hydrosol,” and contains distinct medicinal properties unto itself. Essential oils are extracted from plants that are high in volatile or resinous oils. Plants that have floral or citrusy scents like Peppermint, Lavender, Rose, Rosemary, Thyme, Orange, Lemon, and Grapefruit are all common essential oils because they have a lot of volatile oils in them. Yet sometimes a plant smells like has a lot of essential oil, but it actually takes an incredible amount materials to render a small amount of oil. So even if the plant smells really “aromatic” , it actually doesn’t mean that it’s easy to extract the essential oil from it. A good example of this is again Rose. It requires approximately 242,000 rose petals to distill about 5 mL of rose essential oil, whereas only three pounds of Lavender flowers (2.6 gallons) are required to produce just 15mL of Lavender essential oil. This is why Rose essential oil is way more expensive and rare to purchase in an undiluted form. Lemon Balm also fits in this category. 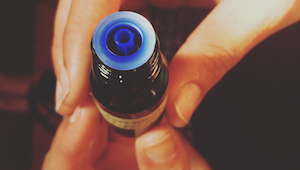 The one thing to remember here is that essential oils are incredibly more potent and far stronger than infused oils and should always be diluted when using them topically. Some people do use essential oils internally but there is huge debate over this and we do suggest not to internalize any essential oil. Major damage can be caused – and we have to remember that plants are potent, and when we extract just a single constituent from a plant – leaving all the fiber and cellulose behind – we are creating a highly potent condensed extraction. One of my teachers from Bastyr University, Dr. Eric Yarnell, ND, is a specialist in the kidneys and genitourinary tract, once noted that many pure essential oils have a strong affinity for the nephrons of the kidneys and due to their harsh nature, can cause irreparable damage to them. He generally suggests avoiding internal usage of pure essential oils. Infused oils are prepared by using a fixed oil, such as olive, sunflower, jojoba, or any kind of carrier oil and combining it with fresh or dried plant material and letting it steep or macerate for a few weeks. Maceration softens the matrix of the plant and helps to release and infuse the essential/volatile oils of the plant, mixing them into the carrier oil, rendering an infused aromatic oil that can be used topically or internally. Infused oils can be used in baths with epsom salts, topically as a moisturizer, used to make salves in medicinal herbal preparations and in the kitchen for culinary purposes like salad oils and marinating dressings. While infused oils are often made from aromatic and resinous plants- just like the essential oils- they can also be used be used for plants that don’t yield essential oils. Some of these are critical topical agents, such as Calendula (Calendula officinalis), Comfrey (Symphytum officinale), St. John’s Wort (Hypericum officinalis) and Plantain (Plantago major). These are 4 of our primary vulnerary, or wound healing, agents. One thing that’s great about infused oils is that you don’t need a lot of equipment or plant material to prepare them; just a cup of oil, a handful of herb and a jar will do just the trick! 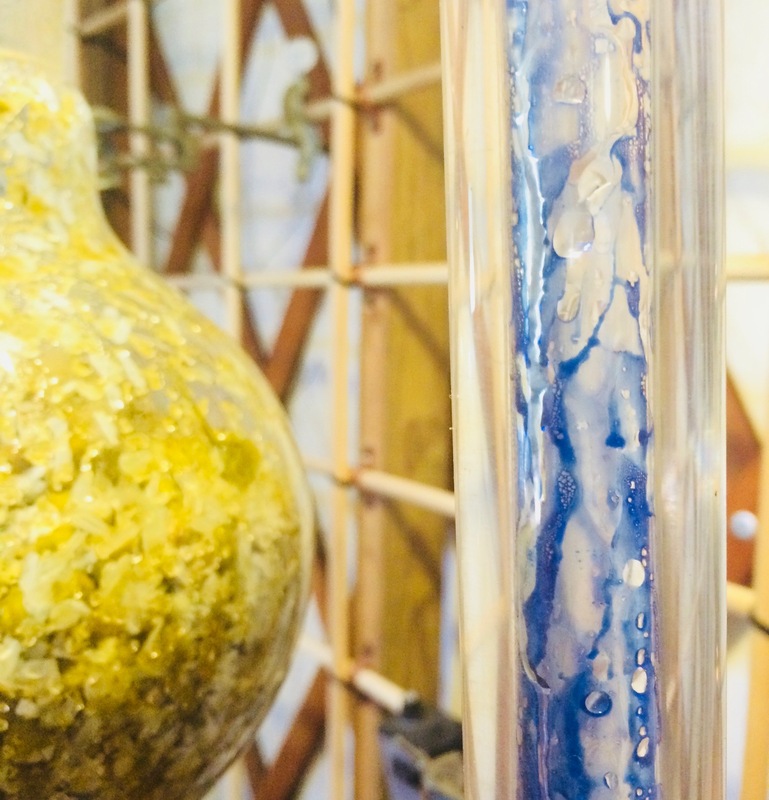 Whereas to prepare distilled essential oils at home requires some laboratory glassware that can run at least a few hundred bucks. It’s super easy to make your own herbal infused oils at home, avoiding costly equipment investments, and an incredible way to preserve the medicinal potency of a wide variety of herbs that likely grow right around you. 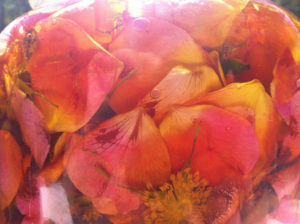 Want to learn how to prepare your own infused oils at home? 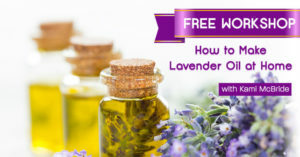 Right now, our good friend Kami McBride is doing a free online workshop showing you step-by-step how to prepare the best Lavender infused oil. Click here to sign up for her free workshop!